Standing on a hill overlooking Highland Park Golf Course, with its green, manicured lawns on a spring day, it’s easy to forget the growing rates of concentrated poverty experienced by many living in Birmingham, Ala. Rather than escaping from the busy office and the hectic city, The Ōnin Group and Clerestory Inc. joined forces April 26 on the golf course, along with other sponsors, to help struggling Alabamians fight their way out of poverty. Through its Seeds Initiative, The Ōnin Group sponsored and provided volunteers for Clerestory Inc.’s third annual golf tournament that will benefit Clerestory’s initiatives. 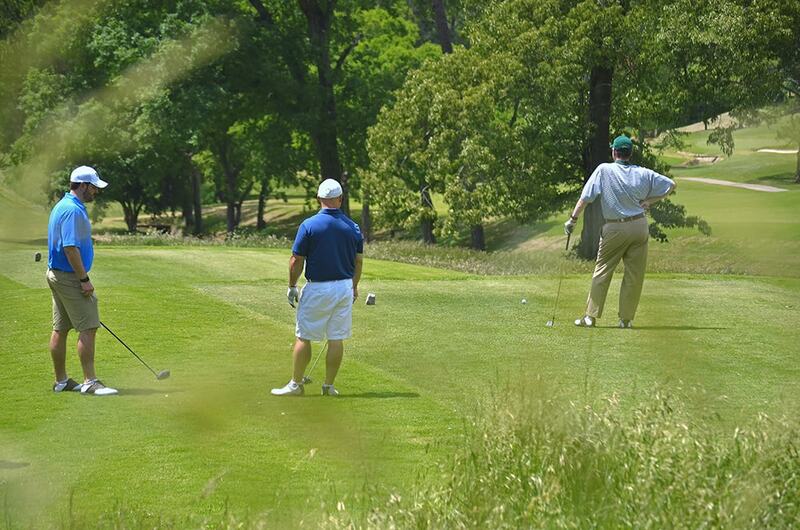 The annual golf tournament serves as a major fundraiser for Clerestory, an Alabama non-profit corporation formed to provide a holistic economic development to benefit the poor and at-risk with a focus on long-term, relations-based developmental solutions for the material poor. “What we try to provide is a pathway, that if people stay committed to it, there is truly a path out of poverty,” said Mark Gell, Director of Programs and Support Services at Clerestory. Clerestory was originally formed by Greg Mixon, a successful transactional lawyer who wanted to give back to the community. After mentoring a homeless man, Mixon realized there was a huge gap in the Birmingham area non-profit sector. Although there were many organizations that provided immediate relief for the materially poor, there was little help for those trying to fundamentally rebuild their lives in the long term. Inspired, Mixon developed Clerestory to provide a comprehensive program to give individuals the tools to better their lives and restore their community. Because Clerestory believes broken relationships are at the heart of all poverty, their core initiatives seek to establish, build and maintain relationships with those they serve. Individuals must be referred to Clerestory from other organizations and go through an application and interview process to be accepted into Clerestory’s program. The Clerestory path then begins with a job preparation consisting of 16 sessions. All classes must be attended and homework must be completed in order to proceed to the next section. Once the class is passed, Clerestory recipients have the opportunity to network with local employers to find a job. Clerestory addresses any legal issues and emotional roadblocks, with both a lawyer and a therapist on hand for those needing assistance. Clerestory also provides a transportation program, as insufficient transportation is a major roadblock for many participating in the program. As the program progresses, Clerestory beneficiaries are taken through a financial literacy class and a savings program, in addition to being provided a housing plan and long-term mentorship. Ideally, those who finish the Clerestory’s program trajectory will ultimately have a full-time job, reliable transportation, personal savings, a positive support community and long-term hope and purpose. More than a hundred individuals have gone through the program in the more than five years since Clerestory began. 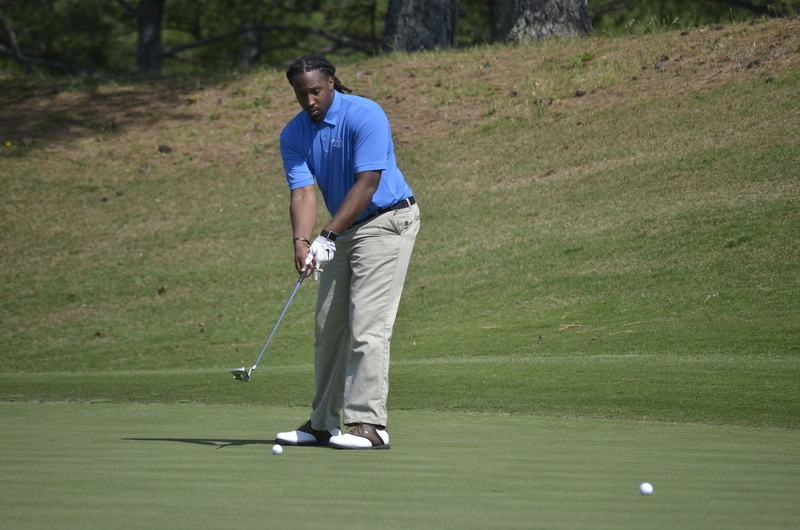 Brandon Nettles played with the Onin team during the Clerestory Inc. third annual golf tournament. Brandon Nettles, Accounts Receivable Specialist at The Ōnin Group was a recipient of Clerestory Inc. after graduating from Samford University with a dual major in Biology and Psychology, but little money in his pocket and no car. Without a means of transportation, Nettles found his employment opportunities were extremely limited, especially since he lived in an area where few jobs were present. Without transportation, Nettles found himself working at a nearby KFC restaurant, unable to put his education or passion for helping others to use. He knew he could put his talents to use and build a better future for himself if he could find a way to travel to the right job opportunity. After approaching Clerestory, Nettles was loaned a car. With transportation secured, Nettles found a job at the Ōnin Staffing branch in McCalla as a Staffing Assistant. In December of 2016, Nettles had saved enough money to purchase his own car, and Nettles was promoted to his current position in the accounting department at the The Ōnin Group’s Home office in Birmingham. Nettles is currently a part of the Urban Hope Leadership program in Fairfield, Ala., a city with high unemployment and a high crime, where he lives and serves as a community outreach leader, mentoring and evangelizing to local high schoolers and community members. By living in Fairfield and immersing himself within the community, he and the other members of Urban Hope Outreach assist in gradually revitalizing the city. A partnership has formed between Clerestory and the Urban Hope Community Church, with both organizations sharing an overlapping mission of improving people’s lives and communities through relationship building. Clerestory is currently in the process of raising funds to develop a training center where Clerestory recipients can learn culinary and other job skills. Change doesn’t happen overnight, but with commitment to our communities, lives can be genuinely bettered. As a staffing company, it’s our job to match individuals in need of a job with clients in need of quality people. Every week day, we meet with members of the communities we’re a part of to help them find jobs to support themselves and their families. We meet people from all walks of life, and their lives and their stories impact us, making it impossible for us, as a company, to forget those who struggle with poverty. We also recognize that, as a staffing company, we can genuinely help to make a difference in people’s lives. Ōnin believes bettering our communities is both the right thing to do and essential to our success. Ōnin’s Seeds Initiative focuses on providing educational and vocational development resources to our communities. Giving individuals the opportunity to move out of poverty and establish fruitful lives as working members of the community is a cause essential to our purpose to “Create Opportunity and Empower People”.